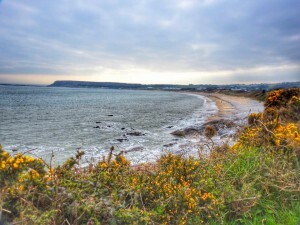 Bright sunshine early morning in Cardiff, but grey on the Gower. 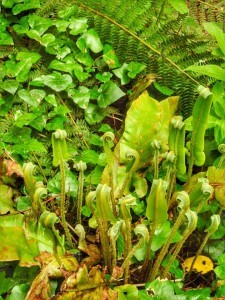 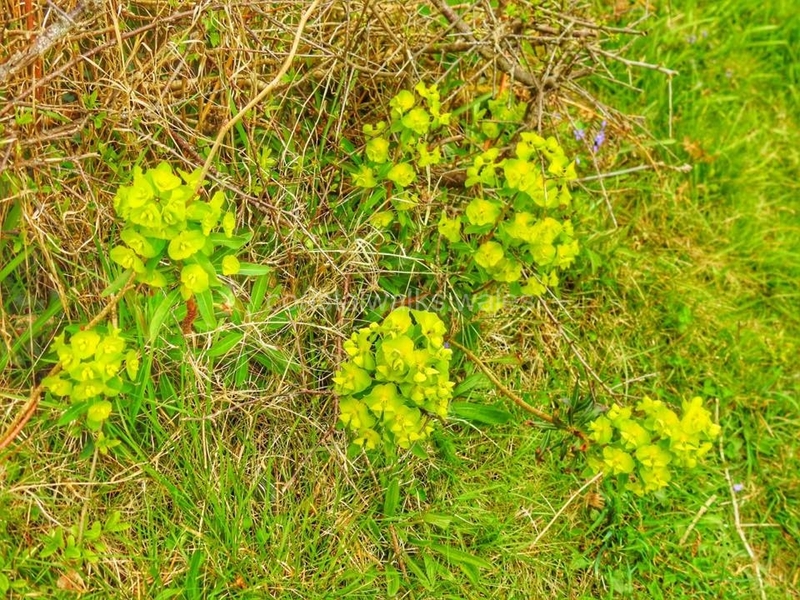 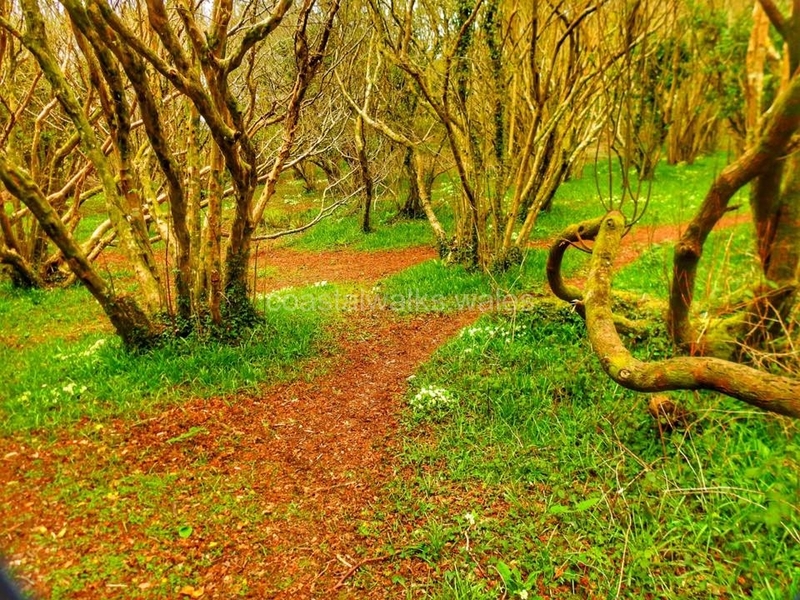 Despite the sea mist spring is unfurling, may blossom and gorse in full glory, a yellow carpet of primrose in the woods, soon to be replaced by brilliant bluebells, already in early bloom. 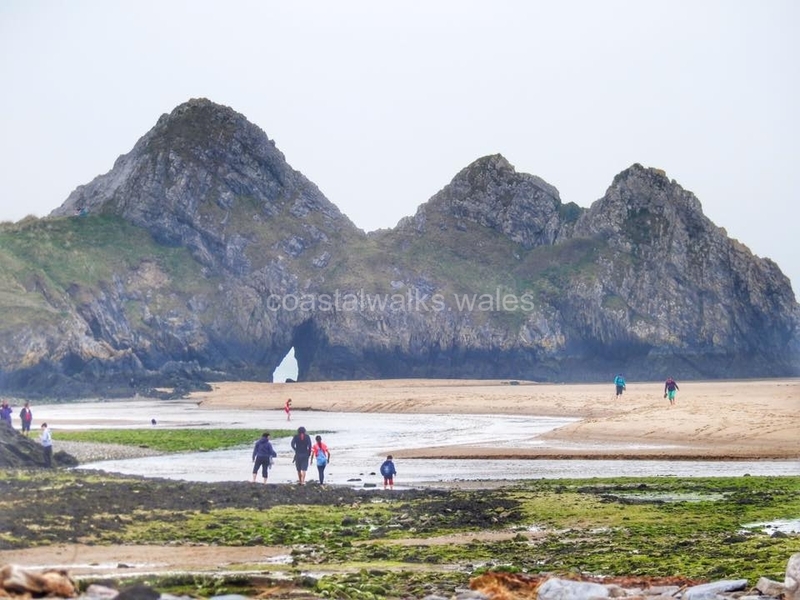 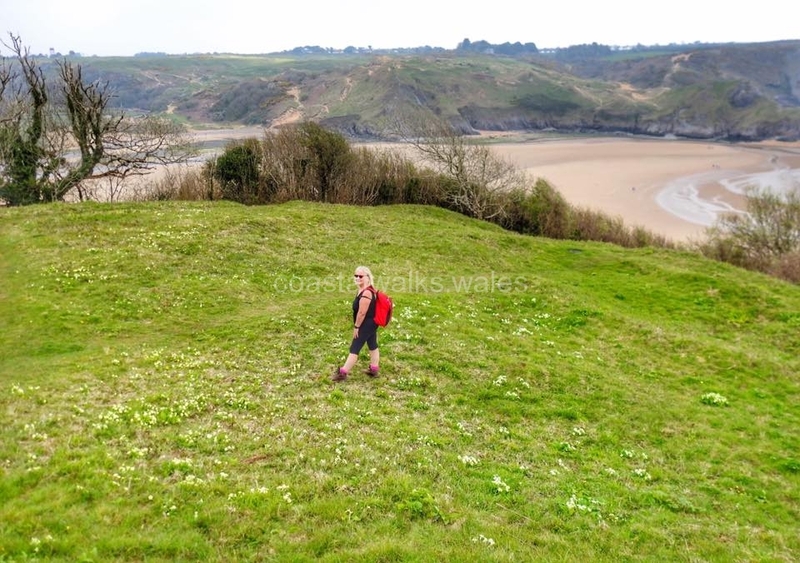 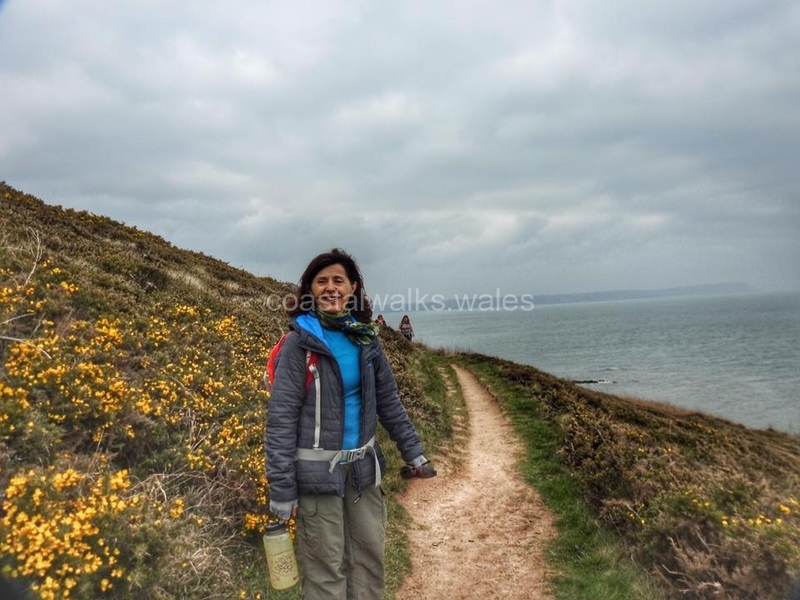 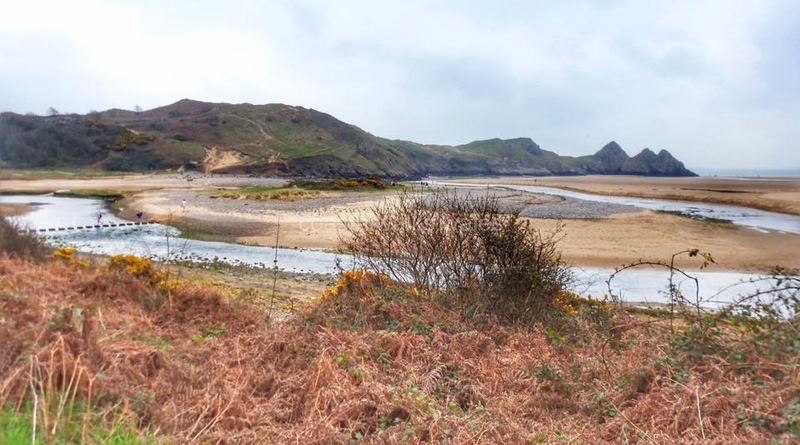 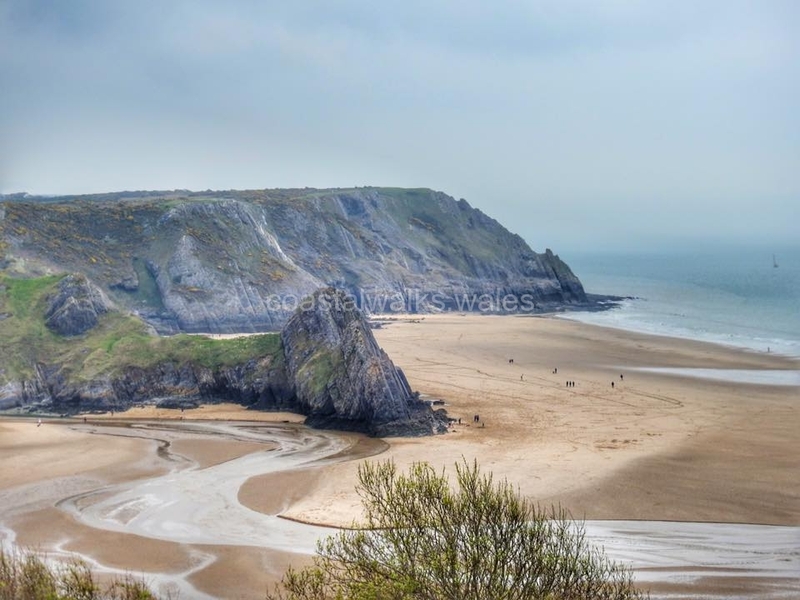 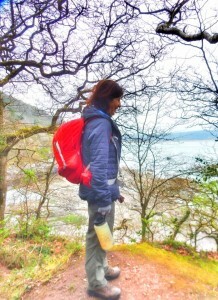 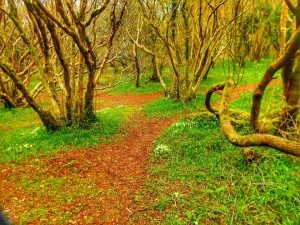 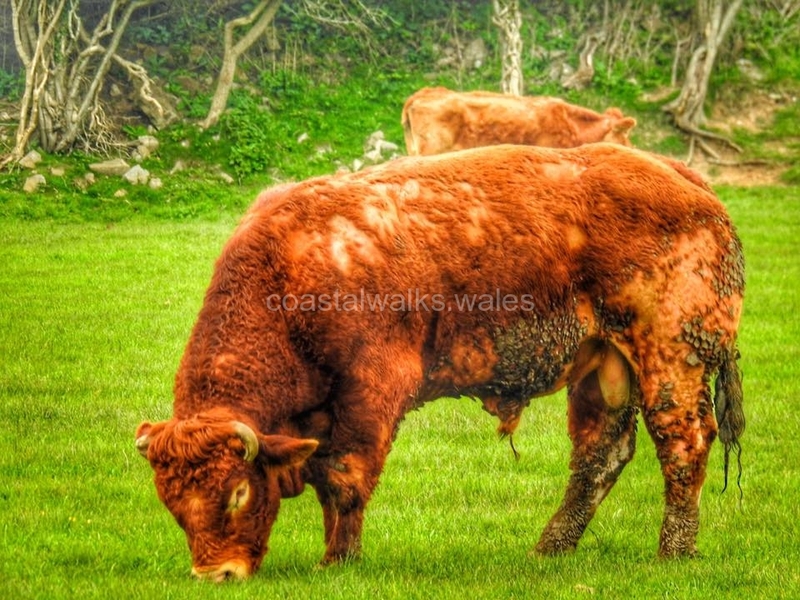 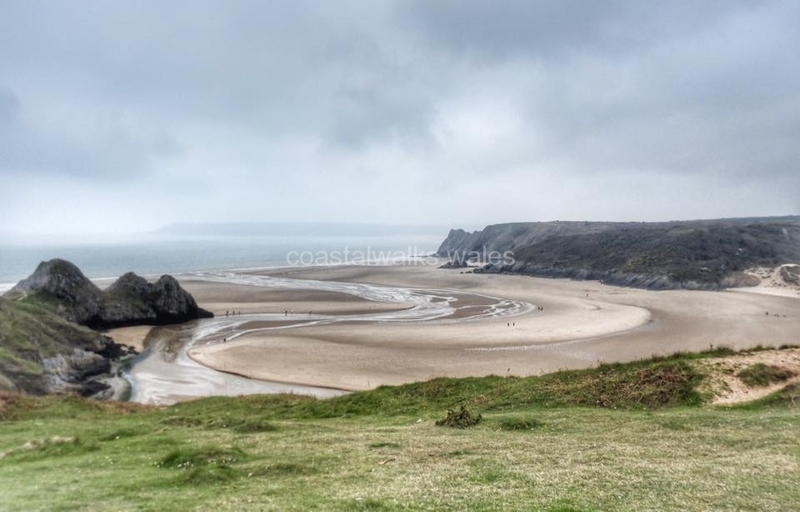 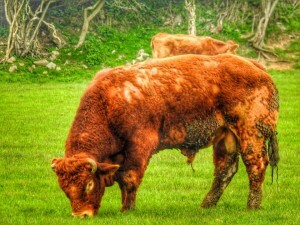 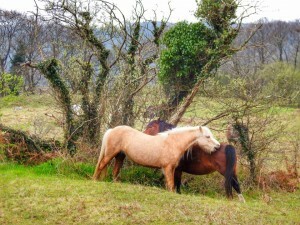 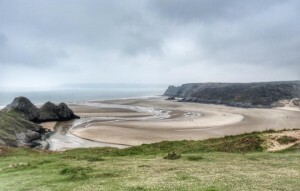 We walked down towards the Three Cliffs, before turning towards Pennard Castle. 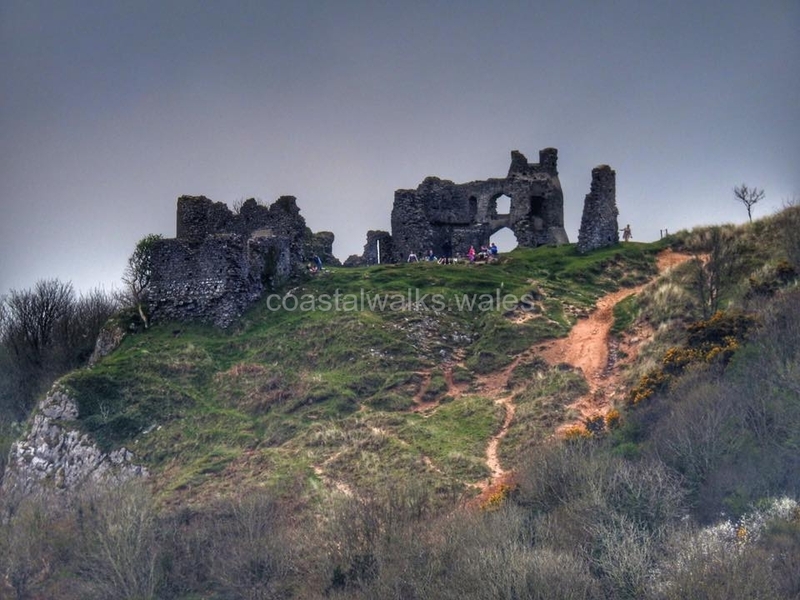 Legend has it that this 12century castle was engulfed in sand, because the owner at the time refused to let the Fairy folk dance at his wedding. To add to the spookiness the castle is also to home to Gwrach y Rhibyn – the witch of the mist…. 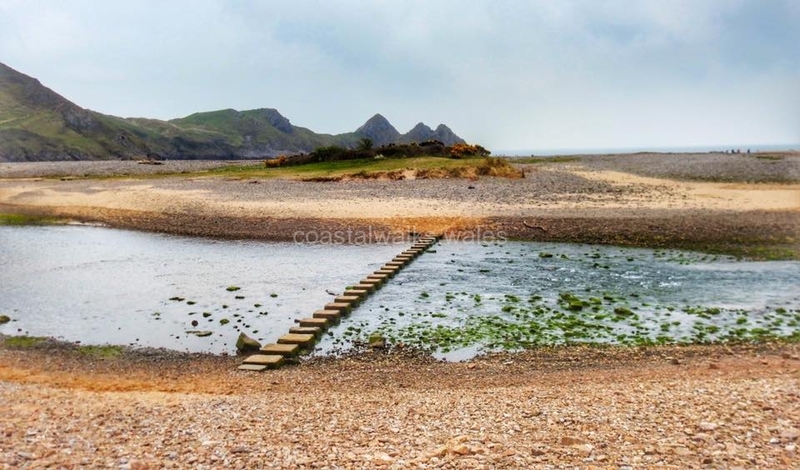 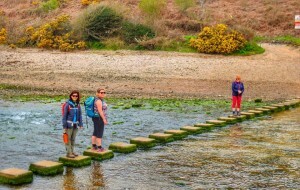 Taking account of the low tide, we shadow the stream at Pennard Pill and cross over the stepping stones. 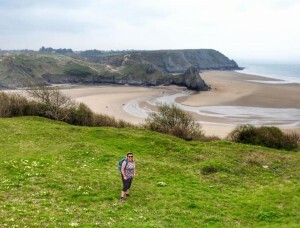 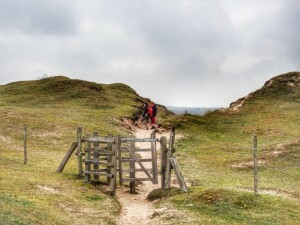 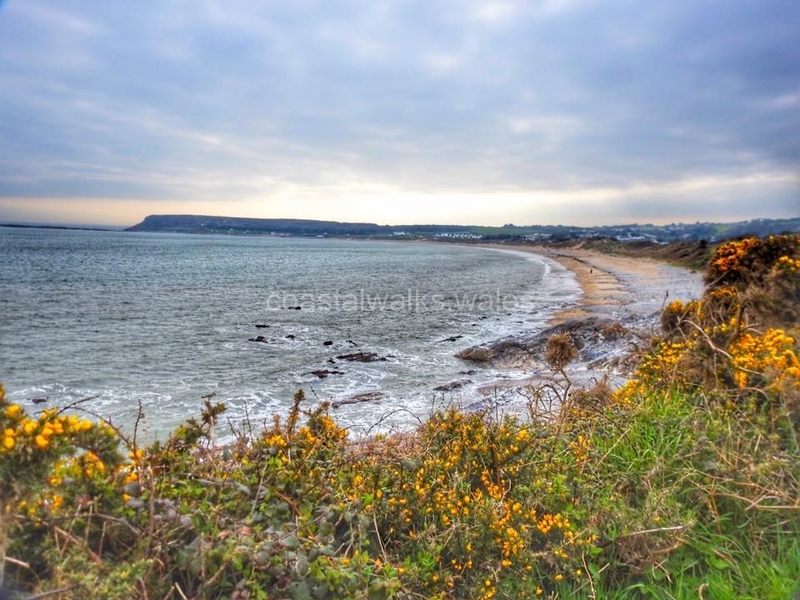 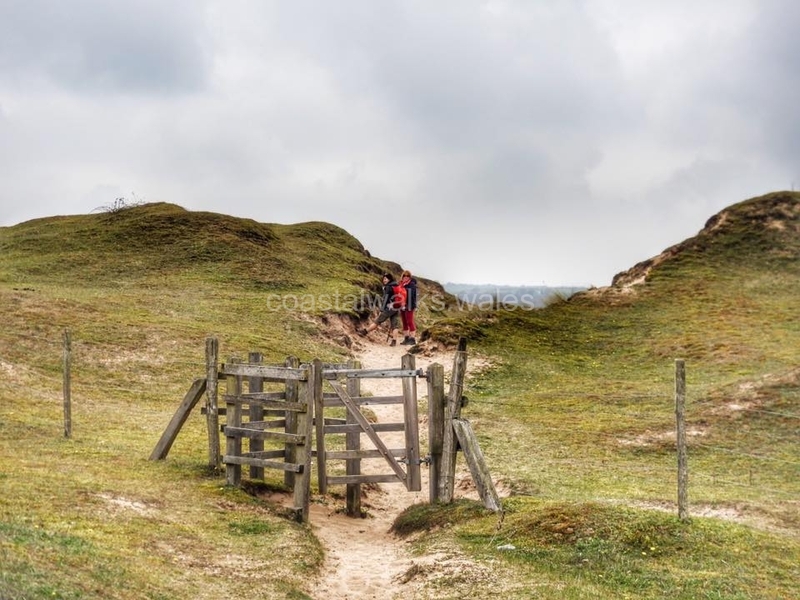 Wales Coast Path takes you through Oxwich Burrows, the beach sadly is out of sight most of the time. 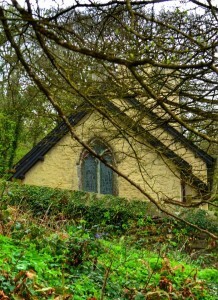 The more challenging part of the walk comes after we passed St. Illtyd’s Church. 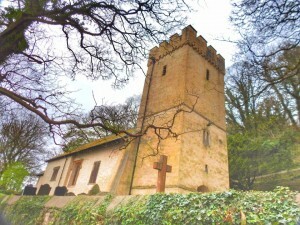 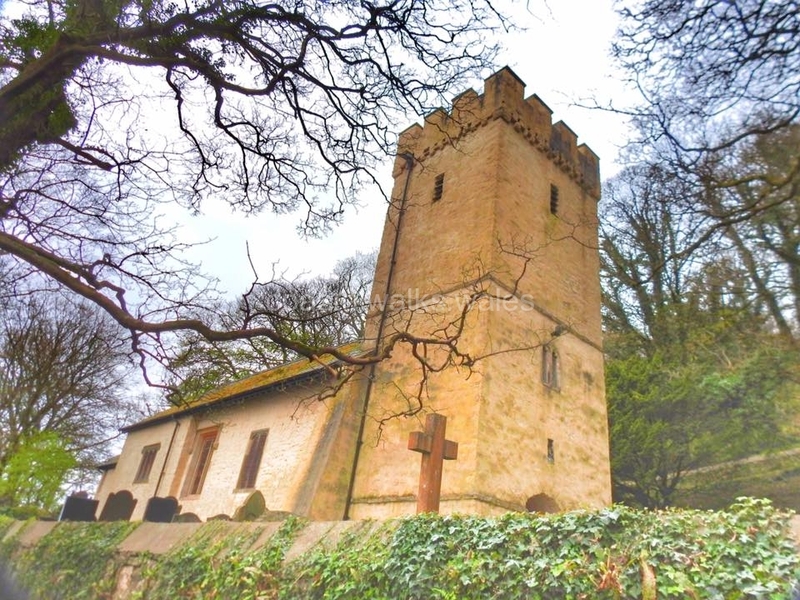 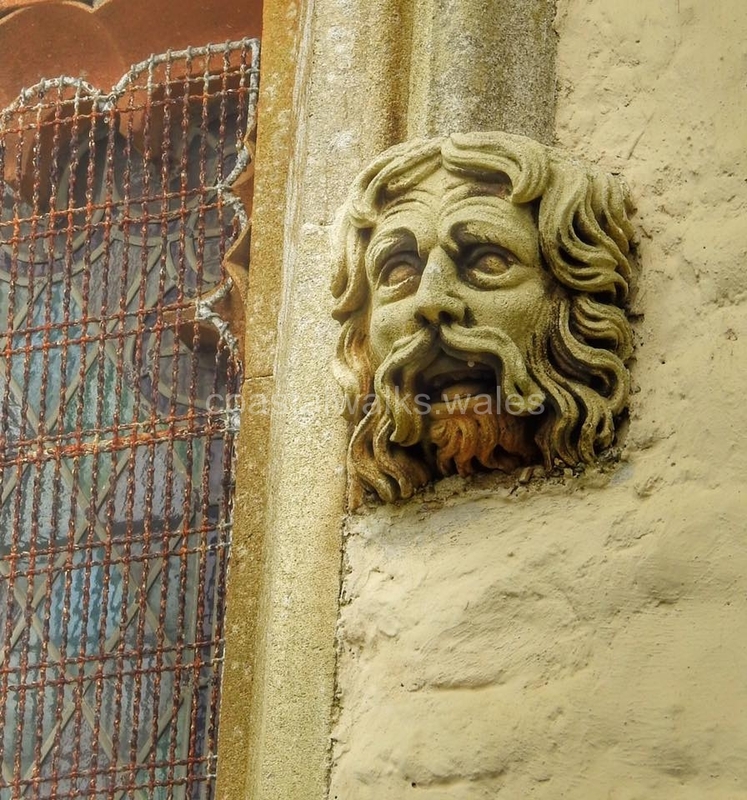 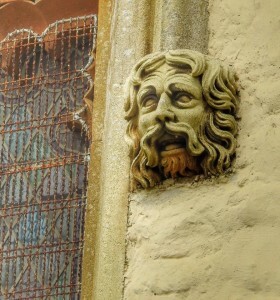 If you have time explore this 14century church. 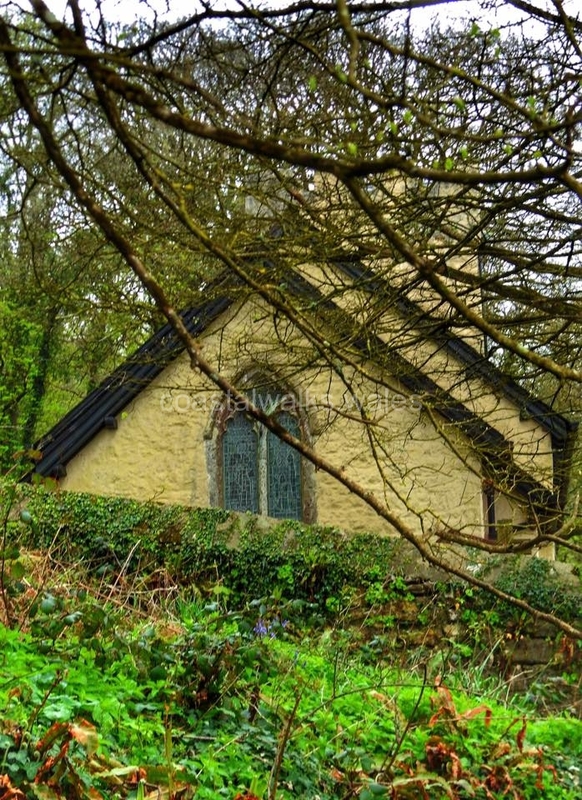 There is a dried up well in the corner of the grave yard, and the story is that a white horse – ceffyl dwr, water horse has been seen disappearing into the well. 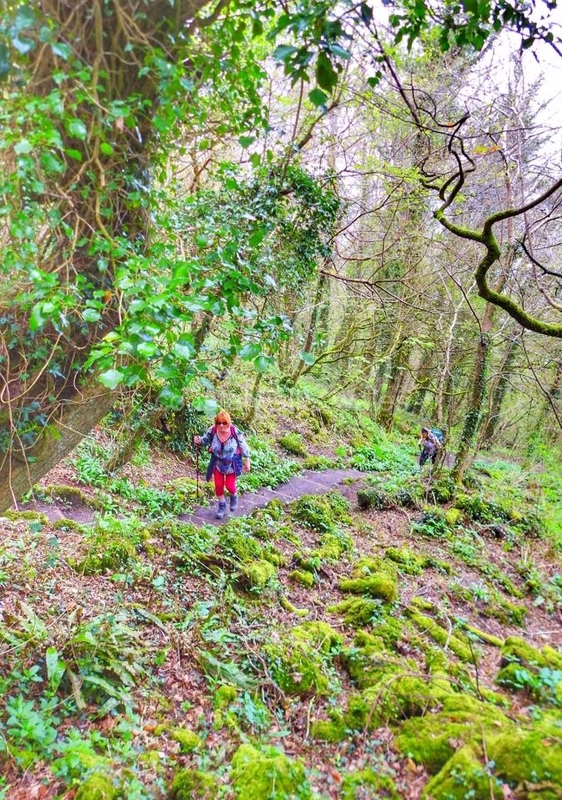 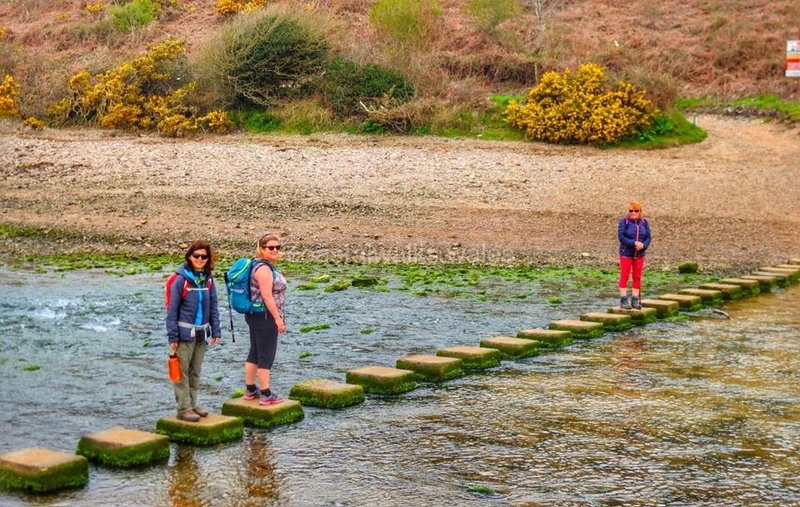 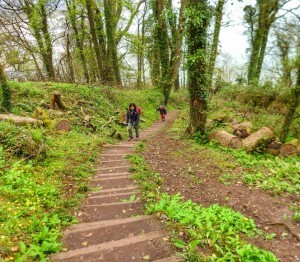 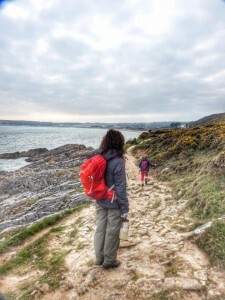 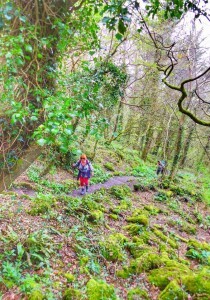 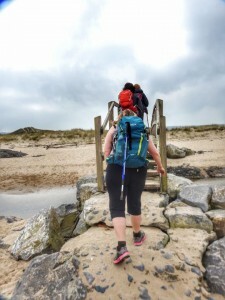 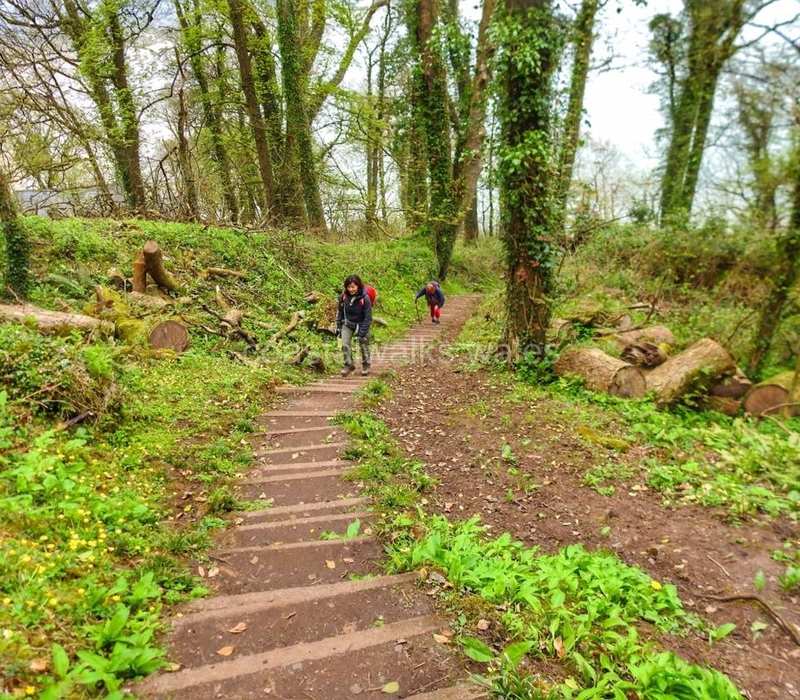 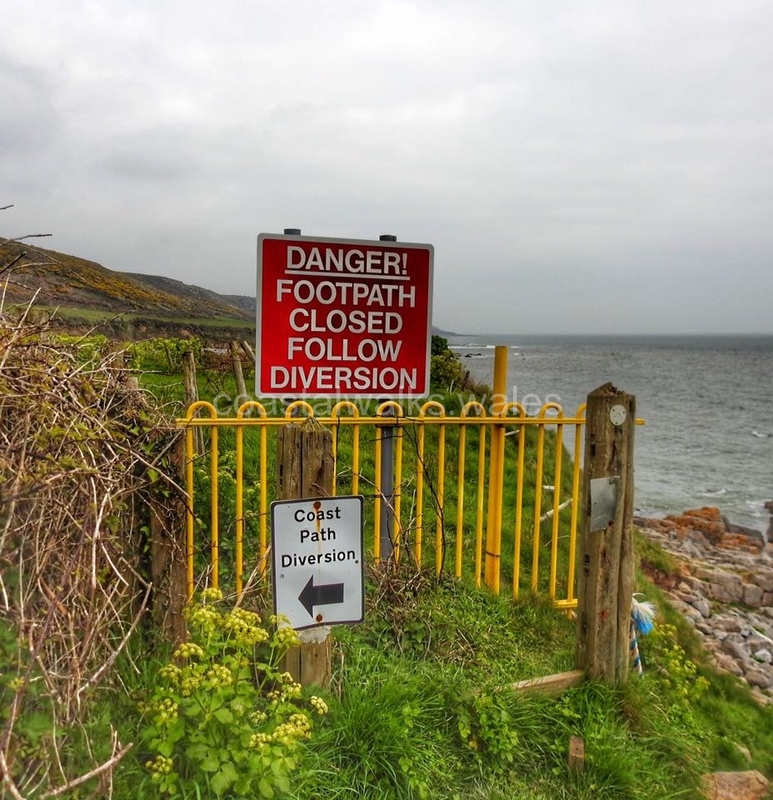 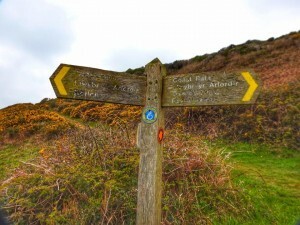 Heading into the woods you now encounter steps, up and down they go – a total of 440 – we were glad to have rounded Oxwich Point and on the home run to Horton,only to be confronted by a diversion. 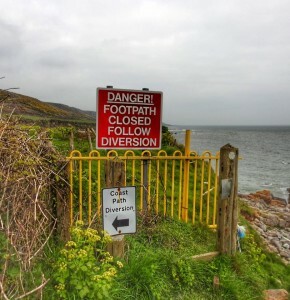 It wasn’t a very long detour but it is the last thing you want to see near the end of a hike. 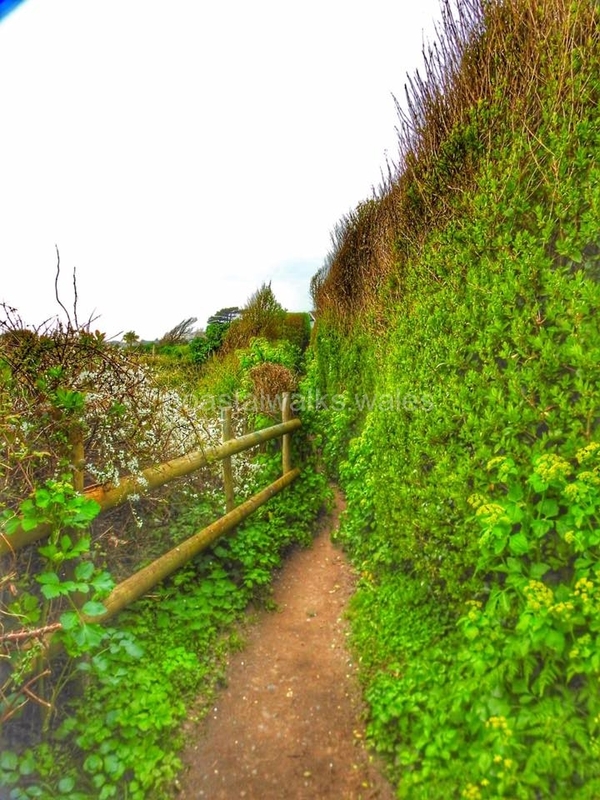 A narrow path between houses leads us into the village of Horton down hill to the car park and the end of our walk.